Hi, I’m interested in 1.5 Metre Christmas Tree. Please contact me. Thanks! Using a cactus or a Bonsai for Christmas celebrations may be dangerous or disappointing. Keep family and friends merry with a 1.5 Metre Christmas Tree that shines bright for a happy holiday. 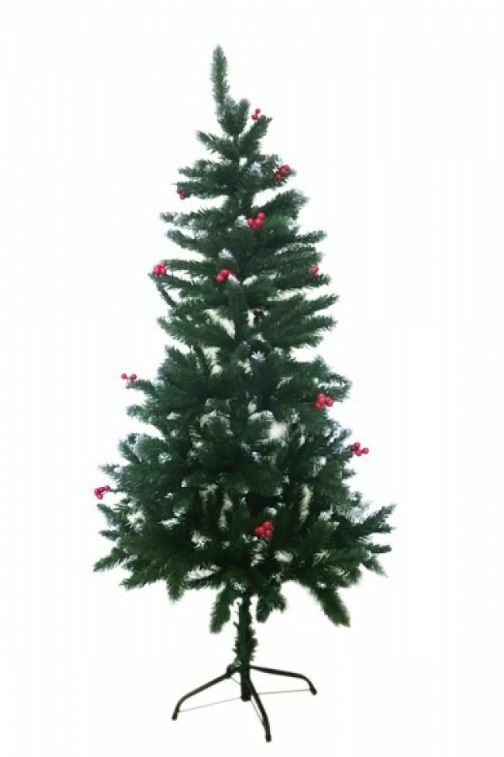 Choose this 1.5 metre tree and enjoy a sturdy centre pole with flexible and easily styled branches. Christmas presents won’t want to be under anything else. Keep your clothes organised with our Double Pole Telescopic Clothes Rack. Sturdy and durable, this multifunctional rack will hold a large load of clothes with its strong metal frame and two cross bars at the bottom to prevent it from swaying. Height adjustable and its mobile design makes this clothes rack the perfect storage solution for your clothes. Made of Stainless Steel poles and durable plastic materials Height adjustable and easy to move. Can hold large loads of clothes with its strong metal frame. Perfect for organising clothes. Ideal for drying laundry indoors or outdoors. Excellent storage solution. The controller box needs to be prevented from water. For using outdoor, please cover the controller box especially rainy days. Durable indoor and outdoor decoration. Rinse clean with water, store in plastic cover •Big Schticky - 7.5" | Regular Schticky - 4" | Little Schticky - 3", with brush attachment - 4" | Extendable Stainless Steel Pole 25.5" - 35.5" Clean up in a quicky with the sensational Schticky! This reusable, eco-friendly lint roller picks up lint, cat hair, crumbs, and dirt lightning fast, saving you hundreds of dollars every year on disposable rollers. How does it work? The special silicone material is slippery when wet, sticky when dry. This allows you to rinse the Schticky clean under water, then go right back to cleaning. Use the regular Schticky for everyday use, the little Schticky with brush for small spaces (car seats, etc), and the Big Schticky with extendable pole for hard to reach spots. The new mini-torch butane soldering welder big straight, zinc alloy shell, black nickel color Product Features: Lightweight design Easy Operation adjustable flame Fill butane gas welding torch tool lock switch widely used in dentistry, glasses, jewelry, electronics and metal welding high-pressure injection technology flame adjustable, self-locking switch Burr received plexiglass light outdoor camping grill Quality flamethrower structure: Outlet valves and precision manufacturing pagoda structure, can produce high-temperature flame; Large gas tank capacity, reusable inflatable, work long hours to meet the needs; Parts of the crater durable, high temperature Latest design and automatic ignition switch, make sure to prepare the ignition in any environment; Easy flame adjustment operation, flexible, flame size is relatively stable.